Subscribe Now – Just $9.99/ Year! 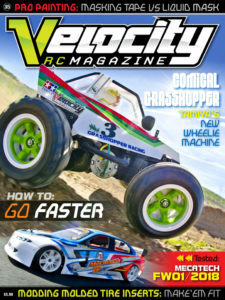 We are now offering 1 year digital subscriptions to Velocity RC Magazine for just $9.99/year. All you have to do is click the subscribe button and you will receive the current issue immediately and when a new Issue is available an email is sent so you can download the newest issue immediately! 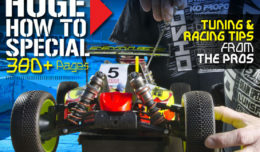 That’s 50% off a year of the best RC Magazine, digital or print! 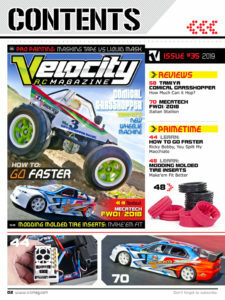 Velocity RC Magazine is 1/3 the price and 3-times the content of all other RC Magazines. That’s a deal itself, but now at a killer low price for the year there is no reason to wait. Our Special How To Issue is available to subscribers until 12.31.18 for free! After that date the special issue will be available for an additional purchase only. 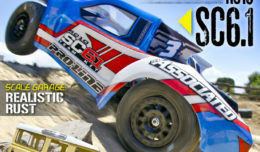 • One year of the world’s best Digital RC Car Magazine starting with the current edition. • IPAD/TABLET link – Our magazine works on all tablets and Smartphones. You just click the link from the confirmation email and save it to your tablet and it’s there for browsing (Internet required for tablet browsing). • NEW – All downloads including PDF option now for full screen viewing on- and off-line. 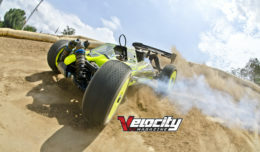 Velocity RC Cars Magazine is the world’s #1 Digital RC Car Magazine on the planet. Why? Because we have content! 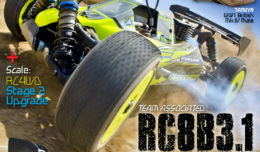 Our goal is to help the beginner and expert RC’r learn more, laugh, and look at some sick pictures and video. 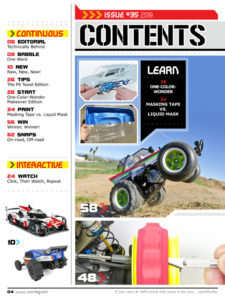 This issue is packed with what every RC nut wants. 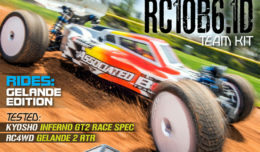 RC Cars! And lots of them. Subscribe and get a year of VRC for just $9.99 or download a single issue for $2.99. Simply buy it now below, or click the subscribe button and this issue will be instantly available for download. VRC Magazine works on PC/MACs, Tablets, and Smart Phones, so you can read the magazine anywhere you want!